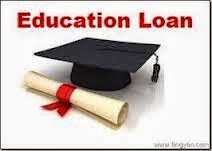 Education Loan Documents Required India By Banks SBI, PNB, Canara Bank : 1. Most of the students dream high and fail to achieve them due to bad economical conditions of the family. In order to help these students, education loans have come in to existence to allow them to pursue higher education in India and abroad. So, guys hurry up and apply for this education loan to continue your studies without any hurdles. Applying for education loan is very simple process where you need to carry all your documents while applying for it. To assist our readers in this aspect, we have included the list of Documents required for Education loan in India by various Banks such as SBI, PNB, Canara etc. 2. Initially when you are applying for an education loan, banks will check your eligibility to get a loan by verifying your documents. So, candidates with right documents will be given more preference and assigning of loan would also be quicker with this. All the banks such as SBI, PNB, CANARA or any other commercial bank follow this procedure. 3. Have a look at the list of documents necessary to apply for Education Loan and arrange them for easy loan. Course expenses given by the college. Bank statements of borrower for last six months. Proof of getting admission in college. Certificate showing academic performances of student. 4. Candidates join us on Facebook for latest news and updates about Education Loan Documents Required India By Banks SBI, PNB, Canara Bank. Guys subscribe us for free email alerts and bookmark our page for future reference.